Studied with his father E. B. Redfern. He gave his first solo concert in St. George’s Hall, Liverpool at the age of fifteen and subsequently played under Riviere at Colwyn Bay, Speelman at Blackpool, Goossens and the Carl Rosa Opera Company in Liverpool and London, Dan Godfrey at Bournemouth and George Henschel in Glasgow. He also toured the United States with Dan Godfrey’s Band playing solos at most of the concerts. 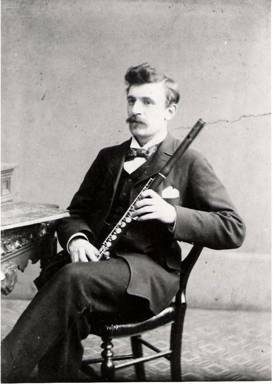 Before the first World War he held the position of principal flute at Covent Garden. He was professor of flute at the Royal Manchester College of Music 1916-1921.